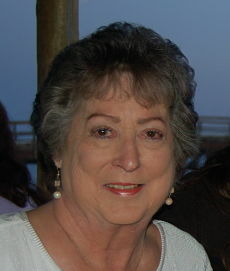 Donna Louise (Skipton) Rice, age 66, of Santa Barbara, CA. passed away peacefully on February 3, 2016 with family by her side. Donna was born October 26, 1949, in Glendale, CA., the daughter of Delbert and Pauline Skipton. Raised in La Cresenta, CA. until she was 14, her family then moved to Goleta to start Skippy’s Custom Floors. Donna attended La Colina Junior High and graduated in 1967 from San Marcos High School. In 1969, Donna married her high school love, Robert Rice. Together they had two sons, Douglas in 1974 and Daniel in 1976. Donna worked early in her career at Santa Barbara Bank and Trust. Then spent several years at San Marcos Lanes (Bowl). She finished her career at Nasif, Hicks, Harris and Company, LLP, where she worked for 16 years. She was passionate about her work, a dedicated employee and a well-loved coworker. Donna was an avid bowler. She loved to bowl weekly with her Monday night ladies bowling league, she traveled with her teammates to tournaments throughout the U.S., and the highlight was winning a California State Team Championship with her long time friends. Donna is survived by her two sons, Douglas (Dawn) Rice of Frisco, TX and Daniel Rice of Santa Barbara, CA. ; the biggest joys of her life, her grandchildren, Kailey and Austin of Frisco, TX. ; her sister, Denise (Steve) Green of Buellton, CA. ; her brother, Duwayne Skipton of Santa Barbara, CA. ; the father of her sons, Robert Rice of Santa Barbara, CA. ; and her nephew Ed (Michelle) Green of Camarillo, CA. She also leaves behind numerous loving relatives and friends. The family wishes to send a special thanks to the staff of Cottage Hospital and Valle Verde for the care of Donna in her final days.